Following Plasticfree-July I felt it was apt that we revisit another waste-reducing action that can be done on a variety of scales; so it doesn’t matter if you live in an urban area, or have a veggie patch or access to a community garden- and that’s composting. Composting uses the natural process of decomposition to convert organic waste matter into a nutrient-rich soil you can use on your garden. So it is a great way to reduce landfill, with the added benefit of creating your own compost, mulch or even worm tea (depending on your method) … so win, win all round! 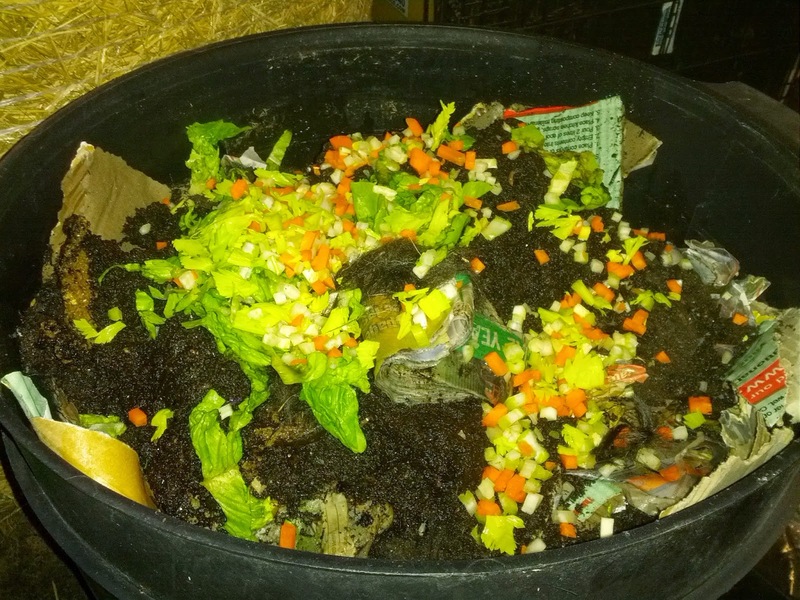 Composting is most definitely not hard (though if you follow this blog you will notice I have made a few mistakes along the way), however if I can manage it, anyone can! Choose a shady spot to start your compost heap or to position your compost bin/wormfarm. There are many types of composting bins available - some require mixing and some don't. 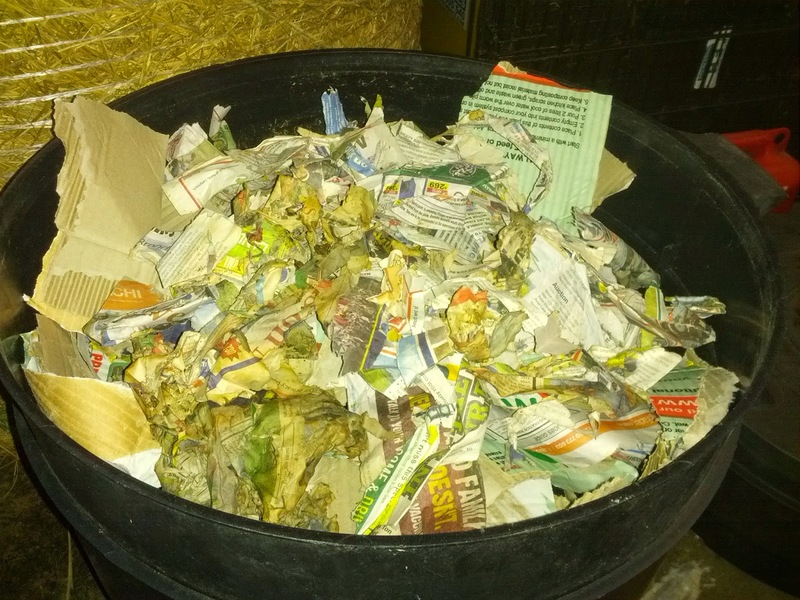 Add to your compost in layers of food scraps, garden clippings and paper. 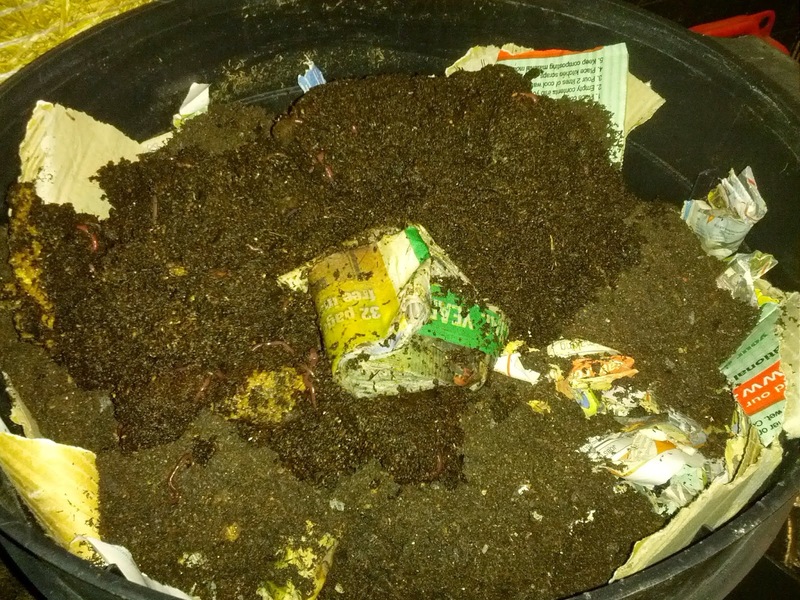 Keep your compost moist, but not wet and aerate it about once a week. When your compost is dark and crumbly (somewhere between six weeks and four months) dig it into your garden, spread it on top as mulch or use in plant pots. The bin has no initial construction and is easy to install. The base is perforated to allow contact between the ground/earth (and its inhabitants) and your compostable, however it can be quickly and easily relocated. The front hatch allows for direct access to the lowest materials (compost), whilst the lid allows you to continue to top it up. And it is all discretely hidden away- ideal for small gardens and those with curious pets or children (and yes I have both, so I can get away with saying it). A compost heap in the chook pen, for breaking down chicken manure, bedding and garden clippings. These also work well on large scales as you may set up various stages along side each other. A worm farm in the herb patch; as its en-route to the shed/bin etc and reminds me to feed the worms their share of food scraps. As our biggest issue here been having sufficient scraps for the worms (as generally the animals get first dibbs). 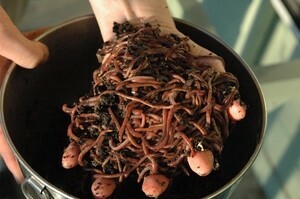 Now these are not your generic earth worms (though that is what you rely on in a ground based composter- though adding these would not hurt your garden, but they may disperse. Worm farms can be homemade (beware of residual chemicals and pesticides on materials- as may have been the reason our initial attempt didn’t work), or you can buy ready built versions maybe purchased from most garden centres or hardware store and online (we picked our up second hand from www.gumtree.com.au). You need to feed it- it cannot be forgotten about like the other options, or your worms leave or perish. Once you have decided on the best system and location suitable for your home/set up, then there’s what to put in it. The obvious is household scraps, we make a habit of keeping a small bucket in the kitchen designated for food scraps (we do this for animals anyway). But you can purchase decorative little bins/ tubs from any retainers now so it doesn’t have to be unsightly. I would advise washing it out regularly (after use), or lining it with newspaper can help. You can get biodegradable bags too but then I consider this an additional purchase/ generated waste item. But its personal preference; if it makes it more likely that you would use it. Perennial weeds or diseased plants, as these may be spread. 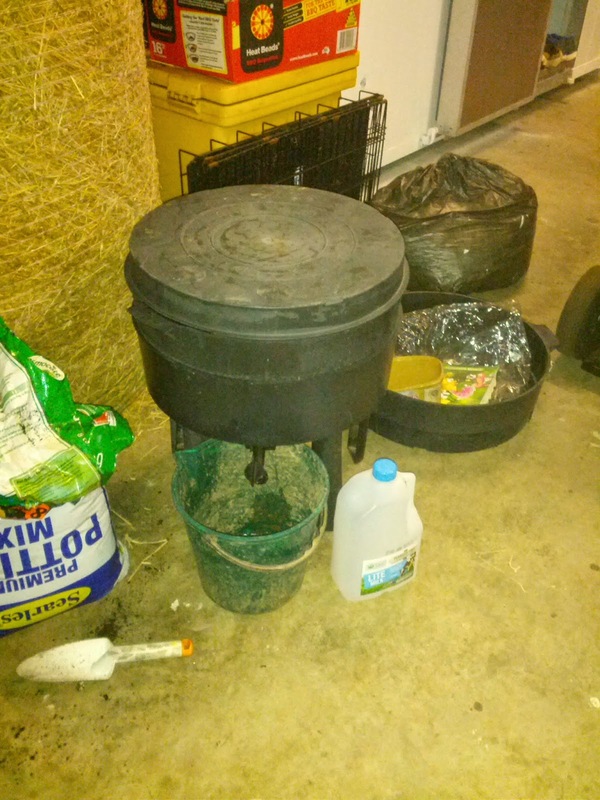 · We do compost sawdust from the chicken coups, however this should be mixed or scattered thinly to avoid clumping. · Also pet manure (by pets I mean dogs, cats etc not livestock) can be composted (and many council encourage this now. However this should be confined to a specific composter (only for this purpose) and not used on gardens or areas that may come into contact with people or anything else that maybe consumed. But otherwise it is a case of trying to balance your compostable scraps- it breaks down to a mixture of carbons and nitrogens- essentially you need both to encourage a ‘hot’ environment at its centre. This is why we aerate, to assist with the break down. As mentioned earlier compost can be ready in as little as 6 weeks, but may take months depending on its composition and how you tend to it. It is ready when it turns to a dark rich colour, and maybe used in garden beds, pots etc. Your compost should be moist (not wet), so sprinkle with water occasionally and turn- remember the centre should be warmer and this is what breaks it down, but it still requires oxygen or it may ‘starve’- especially if using worms.